The waters of the Caribbean Sea and the Atlantic Ocean provide some absolutely incredible deep sea sportfishing experiences in the region. There are a number of amazing destinations all throughout the Caribbean you can choose when you want to indulge in this type of water sports activities. You will find that the islands of the Bahamas are incredible places to choose for this type of sea adventure. In fact, the territory is the top destination in the world for fishing adventures. You will find that many of the other Caribbean islands are not far behind the Bahamas. Furthermore, these islands will offer you some incredible opportunities to participate in fishing adventures when you are visiting one of the lovely resorts on the islands. Without any more rambling , let’s explore some of the unique experiences you will get in some of the different islands. The Spanish speaking country of Puerto Rico is one of the Caribbean Islands Americans will not need a passport to travel with. With that hurdle out the way you will find that the island is home to some amazing species of fishes. This is one of the reasons why it is one of the leading sports fishing spots in the Caribbean. The trench that runs along the north coast of the island is a treasure box of all the various species for fishes. 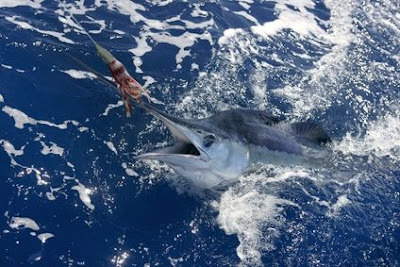 These include the blue and the white marlin, tuna, mahi-mahi and the tuna. You will find excellent deep sea sportfishing charter vessels that will allow you to enjoy amazing experiences on this a fishing adventure on the north coast of the island. The capital of Jan Juan is one of the best places in the island to stay if you want this sea adventure and it will be a good idea to be traveling in groups. You will find that group traveling will allow you to split the charges for the vessel and provide some awesome excitement competing again each other while fishing. Jamaica is one of the islands the caters for all the categories of persons who want to enjoy deep sea sportfishing adventures. Whether you are a professional or a beginner there is a spot on the island for you to develop or display your skills. The island offers three major deep sea fishing tournament held on the north coast. You will find exciting opportunities to go fishing in Negril, Montego Bay, Trelawny and Portland in Jamaica. All these destinations are top vacation spots, so you will find excellent all inclusive resorts to stay which are close by to the different yacht and boat charters. Although you can visit the island all throughout the year to get these experiences on your fishing adventure vacation. You will find that the major fishing tournament are held in the months of September and October while brings together some of the most skilful anglers in the world. Some of the species of fish you will be exposed to in Jamaica are yellow jack, jack fish, kingfish, green jack, shark, snapper, bonita, tarpon, grouper, yellow and black fin tuna, and the striped tuna. The islands of Antigua and Barbuda is another of the deep sea sportfishing fishing island you can explore. The Antigua premier tournament is held in the middle of May of each year. 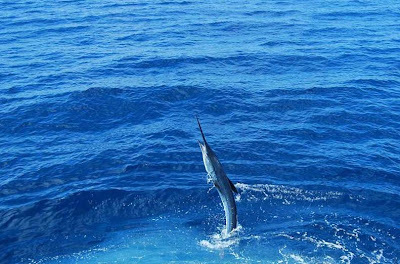 It is another place where you will have the opportunity to fish for sailfish, barracuda, tuna, wahoo, dolphins and blue marlins. The eastern coast of the island or the Atlantic show line of Antigua is the place where you will get the best fishing adventures in Antigua. This romantic Caribbean island will also provide you will excellent deep sea sportfishing adventures as well. In fact, you will some of the Caribbean most fertile fishing ground in the island’s waters. Some of the main species of fishes you can look forward to include Barracuda, King Mackerel and Spanish Mackerel, Rainbow Runners, Horse Eye Jacks, Dorado, Wahoo, Yellow Tail Snapper, Blue Marlin, White Marlin and Sailfish, Yellow Fin and Black Fin Tuna. You will find some excellent vessel with skills yachtsmen that will ensure you enjoy every bit of your fishing experiences on the island. St. Lucia has some world class resorts, as well, so this will ensure that all aspects of your vacation will be fun when you choose this Caribbean spot for a fishing adventure. This is the Caribbean territory that needs no introduction the it comes to deep sea sportfishing adventures. There are hundred of cays in the Atlantic waters of the Bahamas that breeds some of the largest species of fish stocks in the world. Accompanying this awesome feature, the destination has most of the clearest underwater visibility in the world. The island is Bimini is the most popular spot in the Bahamas for deep sea sportfishing adventure and is less than fifty miles from South Florida. Some of the main species of fishes that will test your skills include Barracuda, Jacks, Tuna, Wahoo, the Blue and the White Marlin, Sailfish, Dolphin, Sharks, Grouper, and Snapper. Bahamas is a place where to will find world class resorts in all dimensions, so you will have excellent places to stay on your vacation. You will also find some excellent fishing vessels that will take you to different fishing spots throughout the territory.